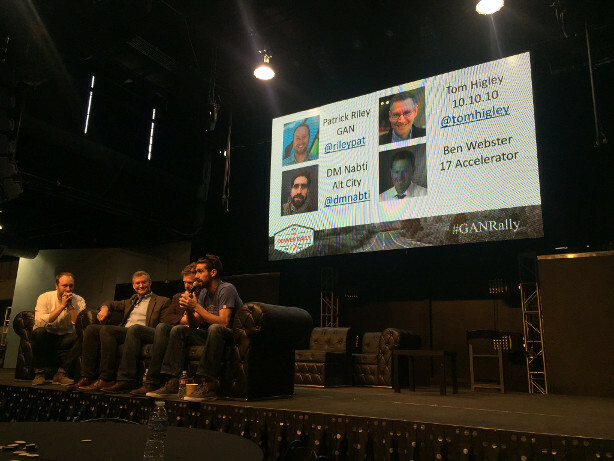 What Exactly is a Startup Accelerator? It’s a mentorship program for budding entrepreneurs. Generally, after a competitive application process, accelerators provide startups with limited funding, office space to operate, mentorship, opportunities to network with venture capitalists, and a demo day to show off their tools. Some of the best known accelerators are Techstars and Y Combinator. The application process is open to anyone, but highly competitive. Y Combinator and TechStars have application acceptance rates between 1% and 3%. A seed investment in the startups is usually made, in exchange for equity. Typically, the investment is between US$20,000 and US$50,000. The focus is on small teams, not on individual founders. Accelerators consider that one person is insufficient to handle all the work associated with a startup. The startups must “graduate” by a given deadline, typically after 3 months. During this time, they receive intensive mentoring and training, and they are expected to iterate rapidly. Virtually all accelerators end their programs with a “Demo Day”, where the startups present to investors. Startups are accepted and supported in cohort batches or classes (the accelerator isn’t an on-demand resource). The peer support and feedback that the classes provide is an important advantage. If the accelerator doesn’t offer a common workspace, the teams will meet periodically. …all to discuss how to better support the stars of the startup world: the founders. Throughout the week I heard a lot of great ideas about how to better support founders through startup mentorship, training opportunities, and access to venture capital, but my primary takeaway was that accelerators and development actors share a common set of goals: We’re both trying to help local people solve local problems, we’re just doing it in very different ways. What do I mean? Accelerators solve local problems by empowering entrepreneurs with the training and tools they need to achieve market sustainability; development organizations help solve local problems by empowering citizens, civil society organizations, and local governments with the training and tools they need to achieve sustainable social, economic, and political impact. There’s a strong trend among entrepreneurs to focus not just on opportunities to turn a profit, but opportunities to have social impact and turn a profit. This movement, called social impact investing, “challenges the long-held views that social and environmental issues should be addressed only by philanthropic donations, and that market investments should focus exclusively on achieving financial returns.” The Global Impact Investor Network reports in its 2016 Annual Impact Investor Survey that more than $15 billion was invested in impact-oriented projects in 2015, with almost $18 billion planned for 2016. Startup acceleration become a worldwide phenomenon, supporting the growth of innovation ecosystems in many of the countries where the U.S. Agency for International Development (USAID) works. Among those represented at the GAN rally, the agency is working in Costa Rica, Mexico, Colombia, Peru, and Lebanon. Just like donor-funded development, startup accelerators exist to help local people solve local problems. Social impact investing is a growing area for venture capitalists with a social conscience, as the global innovation ecosystem and the nonprofit sector start to converge. There remain significant differences between the two particularly when it comes to incentives, as the Engine Room rightly points out, but the unifying goal is to solve people’s problems, and to do so sustainably. The takeaway is this: the global innovation ecosystem is ripe for investment, and ripe with potential for social, political, and economic impact. Much like international development, this is a community of people that is dedicated to solving problems sustainably. While some USAID projects and implementers (including DAI) are already working with this community abroad, more investment has the very real potential to accelerate change. Based on what we’ve discussed, here are a few ways to more effectively drive innovative, locally-led problem solving in the countries where USAID operates. Missions should be integrating with local innovation ecosystems (almost every medium to major city has one), helping accelerators grow, supporting events, investing in socially focused concepts (which attracts more concepts), and pushing the local private sector and venture community to do the same. DAI has been actively involved with the innovation ecosystem in Colombia through the recent NASA Space Apps Challenge, in Afghanistan where we’ve been supporting the growth of the innovation ecoystem, in El Salvador, where we’re working with the innovation ecosystem through the Puentes para el Empleo project, and in Cambodia through the Development Innovations project. DAI, Montgomery County, Maryland, USAID, and GAN recently hosted the $100,000 Innovation into Action Challenge, and we’re now looking for ways of taking the same model to the places we work overseas. We see investing in innovation as an imperative and we’re putting our money behind it and pushing our partners to do the same. Innovation funds allow projects to operate like small scale accelerators, drawing entrepreneurs into the social space and supporting startups who are focused on challenges related to project goals. Projects that see innovation funds as more than renamed grant funds will have more success supporting innovation. Why? Looking back at the accelerator model, it’s not just the funding that drives entrepreneurial success: it’s the community, the mentorship, the networking, and the training. Those elements differentiate the good accelerators from the bad ones, and it’s the same for innovation funds. The Development Innovations project has had success emulating an accelerator; drawing Cambodian innovators into the social space with small grants, and developing the innnovation ecosystem and community. Not every investment into the startup ecosystem is going to pay off with the next Uber or AirBnB (or NationBuilder or Platzi or Couchsurfing, all Omidyar investments) USAID missions must push the agency (and vice versa) to experiment, and to open space for implementing partners (both international and local) to try new things. The “Uber of civic engagement” might be out there, we just need to create the conditions that allow entrepreneurs to try (and fail) until we figure it out! And make no mistake, there’s no PEPFAR for innovation (nor is there likely to be one), so funding innovation would come at the expense of our typical programming. But putting the steering wheel of the design process into the hands of locals, and giving up some of the typical linear, proposal-driven programming is actually less risky in many senses than the typical linear, proposal-based design process which is in no way agile or able to respond to changing conditions on the ground. You might be thinking “we’re already doing that!” And yes, I concede there are instances of USAID projects operating like accelerators (Development Innovations being a strong example), supporting the innovation ecosystem, and funding small entrepreneurs. But let’s scale this up! I read a lot of USAID RFPs; there are still relatively few project designs that include innovation funds or mention the innovation ecosystem as a potential tool to leverage local design and problem solving capabilities. And make no mistake: contractors respond to what’s in the RFP, so ask and ye shall receive! The potential to leverage the local innovation ecosystem is HUGE; we just need to fully recognize it and that starts with scaling up engagement and funding. This list is brief and it doesn’t tread into the ongoing discussion about how to better define innovation, encourage innovate in procurement processes, and adjust monitoring and evaluation frameworks to be more agile. I’d love to hear others’ thoughts on those topics, and other ideas you have on how USAID could support innovation. Let me know on Twitter at @DAIGlobal or Facebook.